This month, the challenge over at Inkurable Stampers is SHOES! Your entry can be anything at all - as long as you use at least 1 stamp when you create it! 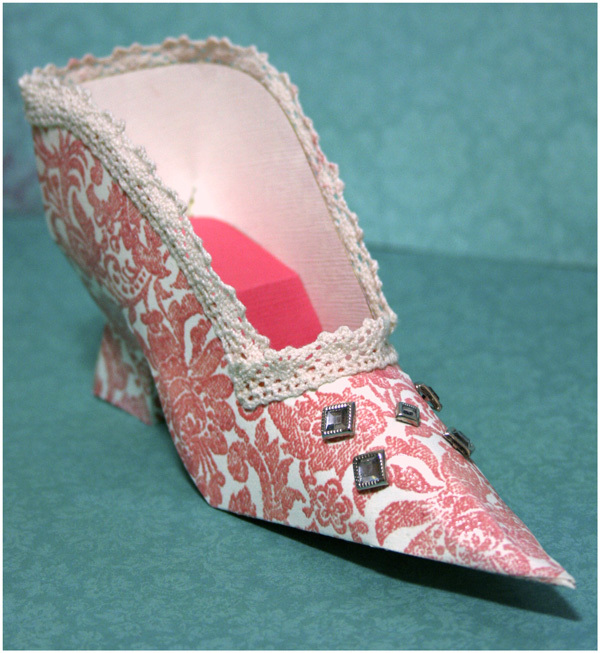 I created a paper shoe using a template I found online here. The base is Bazzill cardstock, which I stamped using the Darkroom Door Floral Background Stamp using "Old Rose" ink, then heat embossed with clear embossing powder. 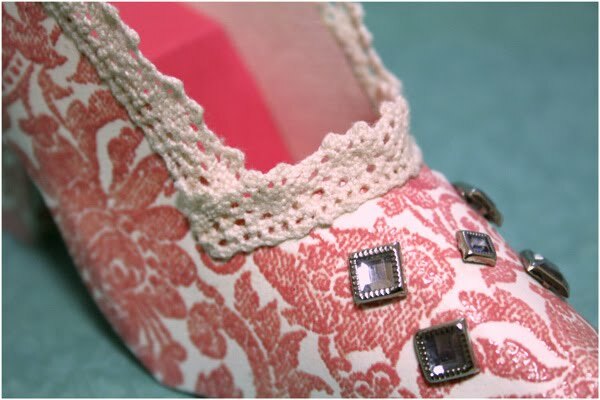 Lace was added around the edges of the shoe and some gem brads added to the front. You can see more photos of my shoe over at Inkurable Stampers here, where you will also find lots of links and ideas for you to create your own "Shoes" themed project! Entries are due by Midnight 30th September 2010 (AEST) and so far there have been NO ENTRIES so you have a fabulous chance of winning something cool if you send me an entry soon! As an added incentive, the first 7 entries I receive will go in the draw to win a cool set of stamp - see more details here.